New Delhi: The first pure skill university, BSDU was awarded by the prestigious “GEM Sustainable Certification Award” where Mr. Jayant Joshi, President RUJCT and Brig. (Dr.) Surjit Singh Pabla, President, Bhartiya Skill Development University Jaipur, received GEM Sustainability Award from Assocham India at Le Meridian, New Delhi for having GEM level 4 campus. Prof Ashutosh Sharma Secretary, Dept. Science and Technology, Govt. of India chaired the awards function. 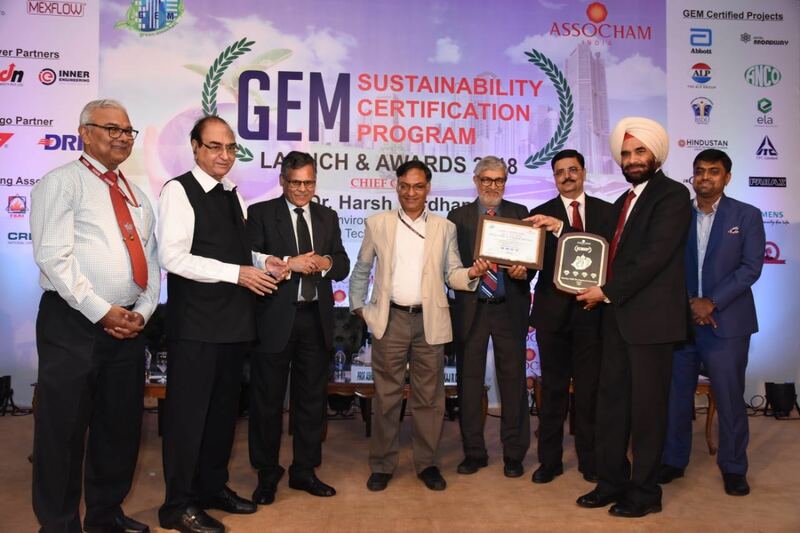 ASSOCHAM has formed a Council for Green and Eco-friendly Movement (CGEM) that would govern the ‘GEM Sustainability Certification Rating’ program. According to the Associated Chambers of Commerce and Industry of India (ASSOCHAM) in today’s times, sustainable buildings are playing a critical role in the development of many emerging economies all over the world. India’s Sustainable building sector is estimated to by 2022 at 10 billion sq.ft., valuing around USD 35-50 billion, driven by increasing awareness level, environmental benefits and government support. India has emerged as one of the leading countries in terms of sustainable building projects and ranks second after US in terms of number of green projects and built-up area. This program aims to address the sustainability of a given project throughout its lifecycle from design through construction to operation. As a part of the initiative, ASSOCHAM awards the sustainability certification rating to housing, urban development, residences, commercial establishments, hotels, colleges and universities, schools and factory buildings and developments.